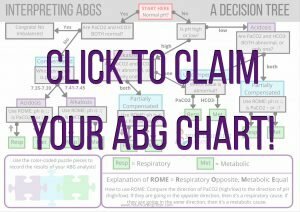 Interpret the following ABG Values to determine what type of Acid-Base Imbalance is present. I have to tell you this is the BEST way I could understand ABG’s. I really appreciate your time posting this. Your study guides are a great help!!! !